Height/Weight: 6’11” / 255 lbs. Overview: Festus Ezeli brings a lot to the table besides having the best name of any available prospect. At 6’11” and 255 pounds, Ezeli is a physical specimen who stands out immediately as usually the strongest player on the floor. His wide body allows him to carve out space on the low blocks to make simple moves in the post. But most impressive is his ability to defend the rim with his prototypical size and wingspan (7’4”) for a center. Unfortunately, Ezeli suffered a knee sprain at the start of his senior year that forced him to miss 10 games and seemed to hamper him throughout the entire season. His lack of elite athleticism was already a concern and remains an issue after he struggled to recover from injury. As a result, he averaged just 10.1 points and 5.9 rebounds as a senior, a far cry from the numbers that we expected after a breakout junior year. He also has poor floor awareness in the post, leading to an atrocious 0.14 assist-to-turnover ratio. His 2.0 blocks per game in 23.2 minutes, though, shows that he maintained his strongest asset as a shot-blocking force. Because of the overall unproductive senior campaign, Ezeli may be dropping on the center totem pole behind guys like Fab Melo and Andrew Nicholson, both players he was arguably ahead of prior to injury. This could make him a strong value at the end of the first round or in the early second round for a team in need of some size and strength defensively. It doesn’t take a basketball junkie to know that Melo’s absence is a potentially lethal blow to the Orange’s national title hopes. He was the best rebounder on a team that struggles to rebound the basketball and he was also the conference’s defensive player of the year this season. 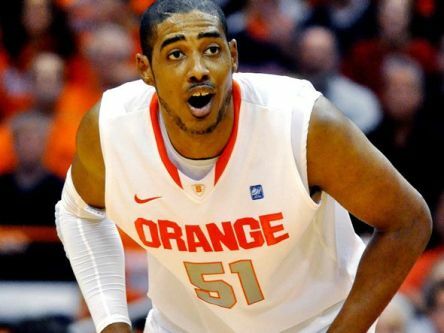 He is one of the main reasons why Syracuse limited opponents to an effective field-goal rate just 44 percent this season and the team’s staunch 2-3 zone relied on Melo to protect the rim — something he did very well during the regular season. The onus now falls on freshman Rakeem Christmas and sophomore Baye Keita to pick up the slack and neither proved consistently capable of that during the regular season. The good news is that Keita and Christmas, while young, are athletic and energetic defenders who can block shots and rebound the basketball unless they run up against more experienced and physical post players. But the understated effect this blow might have on the Orange will be on the offensive end. Throughout Monday, we will roll out our region-by-region analysis on the following schedule: East (9 AM), South (11 AM), Midwest (2 PM), West (4 PM). 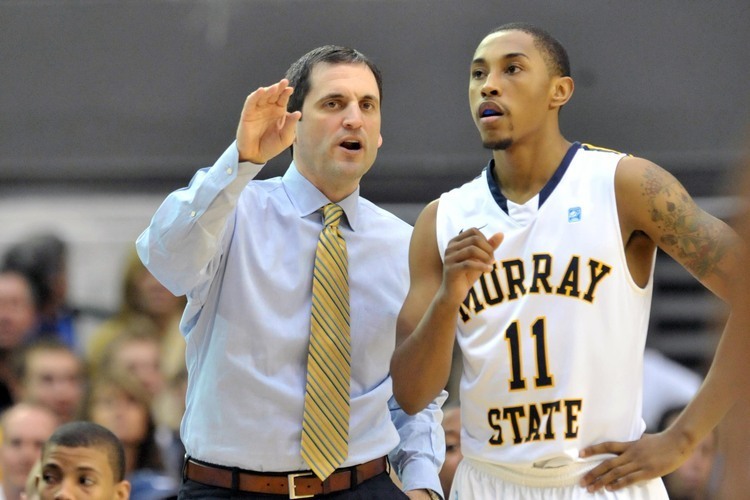 Here, Brian Otskey (@botskey) breaks down the East Region from top to bottom. Also, be sure to follow our RTC East Region handle on Twitter for continuous updates the next two weeks (@RTCeastregion). You can also check out our RTC Podblast with Brian breaking down the East Region here. 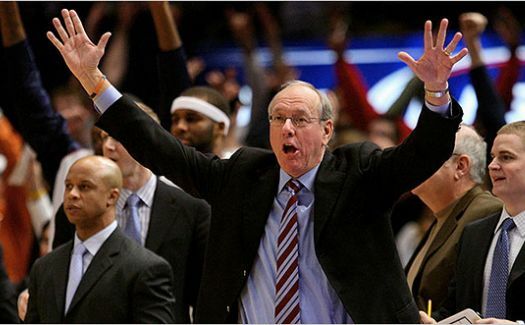 Favorite: #1 Syracuse (31-2, 17-1 Big East). Despite losing to Cincinnati in the Big East semifinals, the Orange are the clear favorites and will have plenty of fans in Beantown to cheer them on, assuming they advance. SU features a transition attack that’s arguably the best in the nation, usually sparked by Dion Waiters off the bench. Should They Falter: #2 Ohio State (27-7, 13-5 Big Ten). I was tempted to slot #3 Florida State in this space but the Seminoles are too inconsistent for my liking to be a legitimate Final Four threat. Ohio State is a terrific team but not nearly as good as last year’s outfit which had Jon Diebler to bury a perimeter jumper. Even so, the Buckeyes are still capable of reaching New Orleans. Grossly Overseeded: #11 Texas (20-13, 9-9 Big 12). This is an exaggeration because I thought the Selection Committee did a very nice job with the seeding across all regions. But I have to pick someone, right? I’ll go with the Longhorns, a team I didn’t have in my projected field of 68. Texas has four RPI top 50 wins but three of those came against teams seeded on the eighth line in this tournament. The Longhorns are 4-11 against top 100 competition, a fact that I felt should have kept them out of the Big Dance. Grossly Underseeded: #5 Vanderbilt (24-10, 10-6 SEC). Again, this is a very minor quibble. As I said before, I thought the Committee did an admirable job seeding the teams. I had Vanderbilt pegged for a #4 seed after beating the best team in the country (Kentucky) in the SEC championship on Sunday. The Commodores won 16 games against the RPI top 100, with two of those coming against top 10 opponents either on the road (Marquette) or a neutral site (Kentucky). 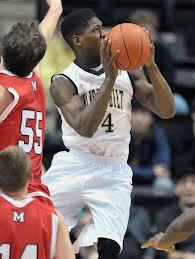 In fact, only one of Vandy’s five RPI top 25 wins has come at home. That’s impressive and an indicator of a team that can do some damage in this event despite its recent history of early flameouts. We are counting down until March as the college hoops frenzy begins to build. Tonight the Michigan State Spartans look to clinch an improbable Big Ten regular season title and some teams in question look for answers in the SEC. With a win tonight, Michigan State would clinch the Big Ten regular season title and a possible number one seed in the NCAA Tournament. The Spartans are playing extremely strong basketball heading into March having won seven games in a row. Over the last 10 games, only Minnesota was able to shoot above 50% eFG against Tom Izzo and company. Keep a close eye on how Sparty defends Indiana’s two-point shooting specifically Cody Zeller. While Indiana is one of the top three-point shooting teams in the nation, they do not take many from downtown and their offense depends quite heavily on the free throw line. If Michigan State is playing strong interior defense without fouling, the Hoosiers will have a tough time winning this game. 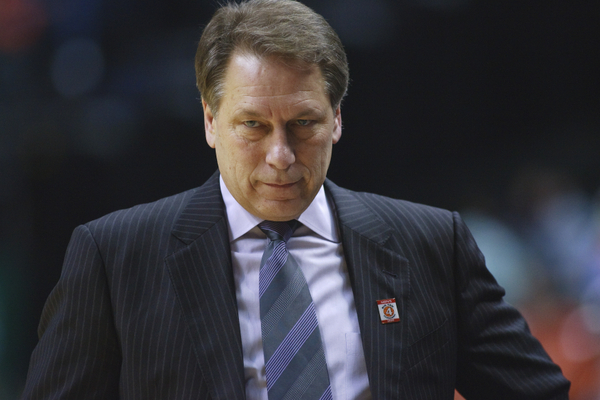 Tom Izzo goes for another regular season Big Ten title tonight. It will be important for Indiana to establish Zeller early by feeding the post. Additionally, the guards need to drive the ball to the net to create fouls or easy three-point opportunities on the drive and kick. Look to see if Indiana can create turnovers. Michigan State has had some trouble with turnovers including a turnover rate of 28% in their last game against Nebraska. While that game was a complete blow out, Indiana’s offense can make a team pay for such mistakes. The Hoosiers are 3-7 when creating turnovers on less than 18% of opponents possessions, so it’s an extremely important stat to watch during the game. This game will be won in the paint. 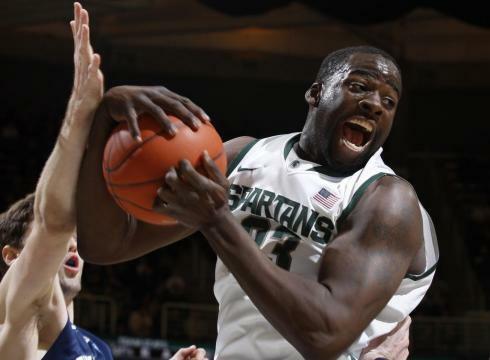 Michigan State throws Draymond Green, Adreian Payne, and Derrick Nix at Zeller. The trio held Zeller to 4 points and 4 rebounds in 23 minutes of action in the Spartans victory over the Hoosiers in late December. Zeller is going to have to have a much bigger game in order to take this one from the Spartans.